Lindi Ortega and Federation Ukrainienne, Pop Montreal 2011. Ashley Tanasiychuk photo. 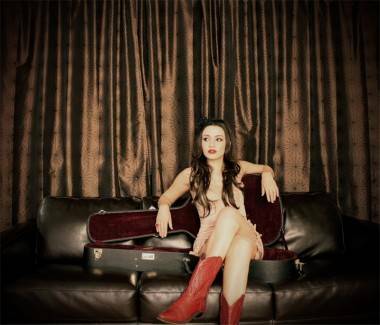 You probably won’t hear any songs from Lindi Ortega‘s 2009 four-song EP, The Drifter when she opens for Social Distortion on an upcoming tour. 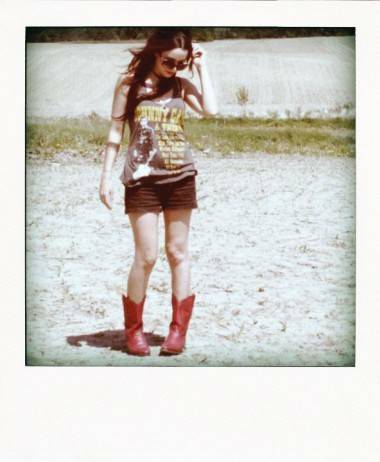 It’s a more pop-oriented effort than her 2011 full-length, Little Red Boots, and as such isn’t where her heart lies. These days, at least, the singer is all about the old country and blues, and the accomplished Little Red Boots is packed with rootsy, lived-in Americana. 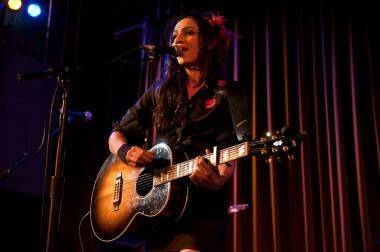 The tough-as-nails title track, the acidic “I’m No Elvis Presley”, and the Memphis soul of “So Sad” have a dirt-road grit to them in sound and feel that should appeal to both fans of Lucinda Williams and, in all likelihood, Social Distortion. Ortega’s tour with the L.A.-based punk band begins April 12 at the Roseland Ballroom in Portland and comes to Vancouver April 16 (sold-out) and 17 at the Commodore Ballroom. 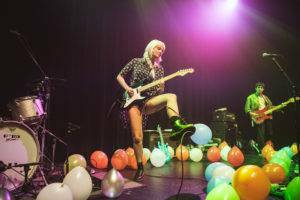 We reached her at home in Nashville a week before the start of the tour to talk about the Juno Awards (she was nominated), opening for a punk band and whether she was a weirdo in high school. Shawn Conner: Where are you? 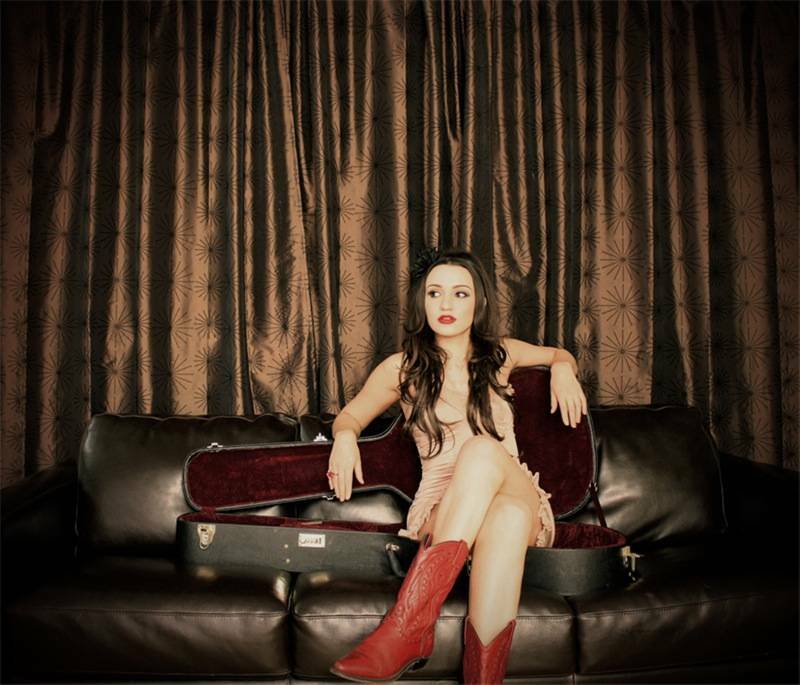 Lindi Ortega: I’m in my apartment in Nashville listening to a Lightnin Hopkins collection. LO: Kris Kristofferson was last night’s spin. I go between old blues and old country. SC: What are you doing in Nashville? LO: I came here to record and get inspired for my next record. I spent two months here over the summer and I decided on a change in scnenery. Life is short and I decided on Nashville, and hightailed it over the border. It’s very hot here, maybe 28 or 30 celsius. I do like the heat, and I love the sunshine. It’s better than the cold – I’ll take sweltering hot over freezing cold any day. SC: You were just in Ottawa for the Junos [Ortega was nominated in two categories, Roots & Traditional Album of the Year: Solo and New Artist of the Year]. What did you think of Album of the Year going to Michael Bublé for a Christmas record? LO: I don’t know. I guess the Juno people really like Christma albums. SC: What were your friends saying? LO: We didn’t really talk about it so much. We were talking about other things… like the after-parties and where they were happening. I went to the Warner and Universal ones. I sang at the Warner and at another one. Those were the super-fun times for me. I ran into quite a few people I knew and met some cool people too. I met Amy Millan from Stars, and who has her own solo project. SC: Are you making a lot of friends in Nashville? LO: I’m a bit of aloner, but when I do go out I tend to make a friend or two. I met someone in the summer, Bruce Wallace, I refer to him as Honey Badger, and he’s written co-written two songs for the next album. SC: How did this tour with Social Distortion come about? LO: It was one of these things where my manager was hanging out with their manager, who was playing some stuff that Social Distortion were liking, and he said “Well you might like this artist” and gave him a CD, and we were offered this tour. I like the challenge of opening for some punk guys. SC: Do you have enough tattoos to open for Social Distortion? LO: I have five tattoos and I’m a weirdo. And I dress like I’m going to a funeral. I don’t know. I spend my nights in my apartment dancing to old records and drinking red wine. SC: Were you a weirdo in high school? LO: Absolutely. I’ve been a weirdo my whole life. I had no crowd in high school. I sat in my bedroom and sang songs. SC: How old are the songs on Little Red Boots? LO: Some of them had been around, and some I’d written over a period of six months after signing to Last Gang, when I decided to go in a more rootsy/traditional/old country/whatever-you-want-to-call-it direction, and write songs more in that vain. That’s when I wrote the remaining eight tunes. It was what I always wanted to do, what I knew in my heart I should do. The signing to a major label, making it more radio-friendly – I don’t know, I’m all about the old school. I like raw-sounding recordings. If I don’t have to conform to this stuff I’m going to go my own way. This entry was posted in interviews and tagged bands, concerts, female singer songwriters, interviews, Music. Bookmark the permalink. she’s playing the Studome on the 24th in Winnipeg.